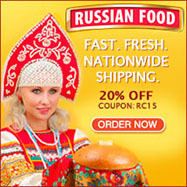 ... to the world of authentic Russian cuisine and cooking recipes, the place for lovers of delicious dishes and culture of the Rus. 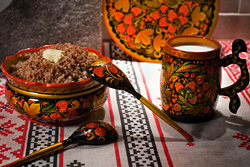 Have you ever tried any dishes from Russian cuisine? NOW... You have the opportunity! 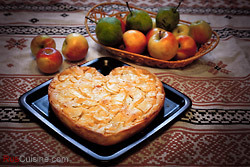 You will discover a great many authentic Russian recipes (hors-d'oeuvres, main courses, desserts, beverages etc.) from ancient times to the present. Subscribe to our newsletter to get recipes and stories into your mailbox. Sign up now! 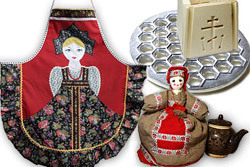 Here you'll find accessories and cookware for Russian Cuisine dishes! Pelmeni mold is a must to make quickly several dozen of pelmeni for your outstanding Russian party. Paskha mold is a necessary cooking attribute to Easter holiday table. But not only cooking is our topic! 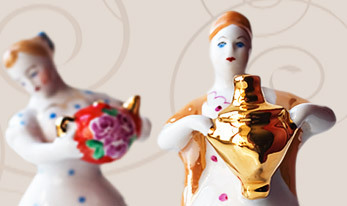 A lot of authentic and unique Russian items are waiting for you... Go Shopping!